Registration for pregnancy program opens on Monday, September 26 at 5:30pm. Register through the front desk or call 266-4688 to reserve your spot for this 10 week program. Every Monday will include an educational hour and a prenatal training beginning October 10. We bring in expert speakers to discuss a range of topics from nutrition to pelvic floor. We also have prenatal trainings and pool trainings available without the educational component. To register for training only, email me at ahrens.desiree@mayo.edu. I look forward to the start of another pregnancy program! 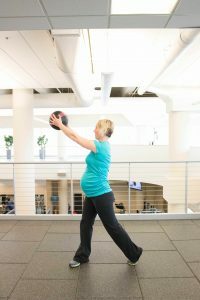 To hear about my personal story with prenatal training, see my blog post here. Already had baby? Learn about out postnatal offerings here.